A visit to the “Antiquarium Truentinum”, the archaeological museum of San Benedetto del Tronto feels like a walk through the most ancient history of the city. The path starts from an archaeological map of the area and leads visitors through different historical eras, to revive the earliest stages of the foundation of the city. 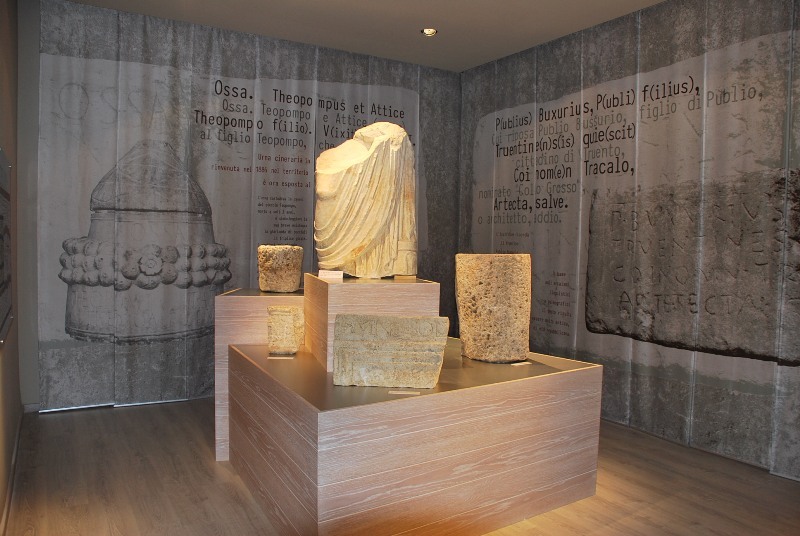 The museum exhibits artefacts which were found between the rivers Tesino and Tronto, including findings from the nearby towns of Monteprandone, Acquaviva and Ripatransone. 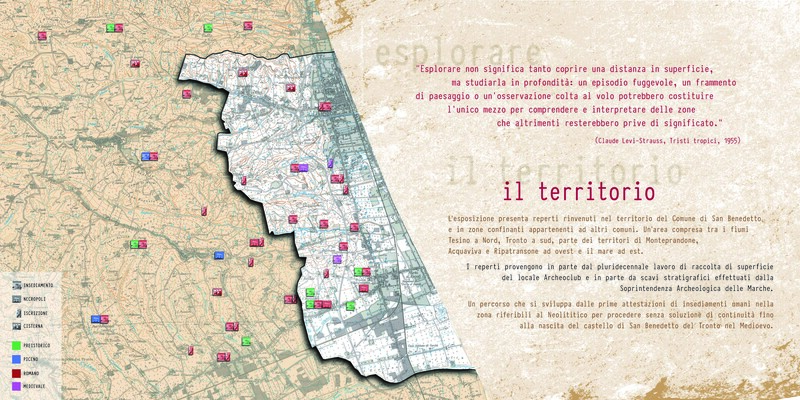 Relics were partly collected by local volunteers of the national archaeological association “Archeoclub”, and partly unearthed during stratigraphic excavations carried out by the Archaeological Superintendence of the Marche Region. The exhibit is arranged in chronological order. The oldest artefacts date back to the Neolithic Age and they mainly consist in stone tools and flints which were found in the Porto d’Ascoli area: arrowheads, burins and objects used for skinning animals, eating particular food, hunting or working. 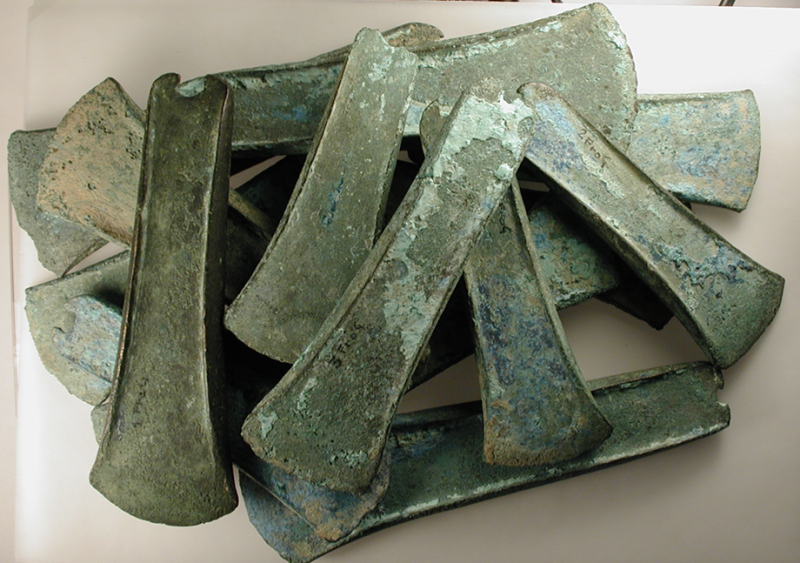 The itinerary continues with relics from the Early Bronze age belonging to the “Guidi Collection”: bronze axes found in Acquaviva Picena during the early twentieth century in the properties of Marquis Antonio Guidi, mayor of San Benedetto del Tronto between 1911 and 1919. Fragments of pottery testify the presence of human settlements in the hills around Porto D’Ascoli during the Late Bronze Age. In the Iron Age, the area was inhabited by Picentes tribes. The name “Picentes” (Piceni or Picenti in latin, peuketies or pikenoì in greek), was given by the Romans and the Greeks to several tribes settled on the middle Adriatic coast, which shared a similar culture and similar features. Many of the Picentes relics in the Antiquarium Truentinum Archaeological Museum belong to a rich tomb found in the territory of Monteprandone. With the rise of the Roman Empire, the area of San Benedetto became part of a settlement known as the city of Truentum. 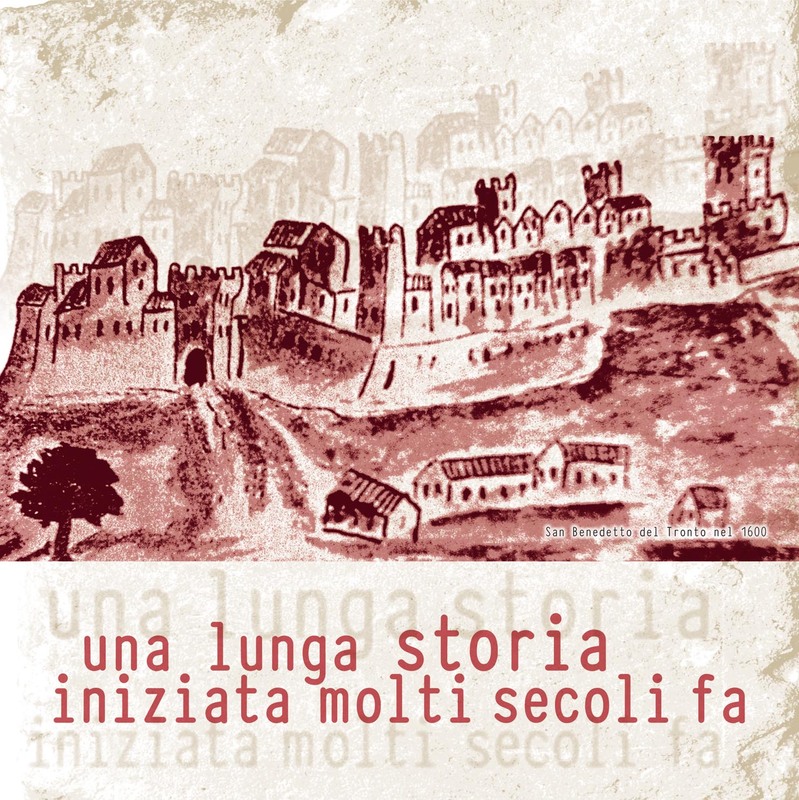 Built by Liburnian populations on the mouth of the Tronto river, the city marked the end of the “Salaria” road, the “route of the salt”, which connected the Adriatic Sea to the Tyrrhenian, passing through the Apennine valleys. 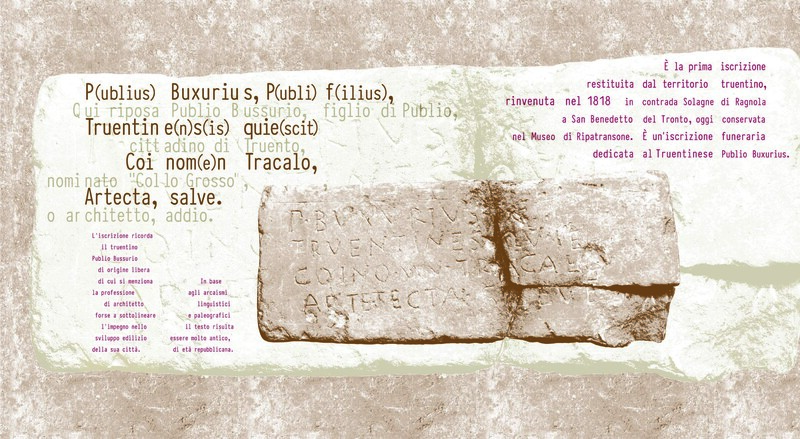 In the Roman section of the “Antiquarium” museum, epigraphs found in the countryside of the Truentum settlement (north of the Tronto river), tell stories about life in the city. The “Marcilius steles”, dating back to the first century B.C., stores information about a local artisan who used the precious purple dye produced from a sea snail to dye his fabrics. Visitors are then let into a narrow room, containing a big fragment of a Roman statue, two cinerary urns, a votive epigraph with an inscription (“OMNE SOLV”), and a stone sarcophagus. The path leads to another exhibit area dedicated to ceramics, with examples of amphorae, “instrumenta domestica” (pottery of everyday use), and fragments of the rare “terra sigillata”: a very peculiar kind of pottery with glossy surface slips, which was only made in specific areas of the Roman Empire. Another room stores architectural elements of different kinds: a majestic architrave with a Doric frieze from a funerary monument, fragments of Roman Age columns and capital volutes, findings from the Late Antiquity period (among which a capital decorated with a crown of leaves), and a funerary bas relief. The last room of the “Antiquarium” exhibits two enormous and very interesting findings: a huge stone sarcophagus and a “dolium”, a large earthenware vase (typically about 1,50 metres wide and 1,50 metres high) used for the storage or transportation of various goods.